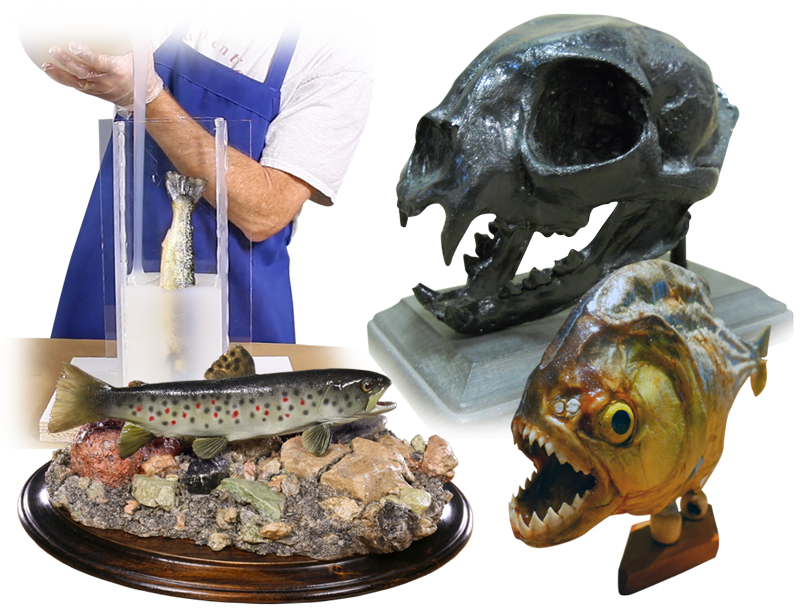 Taxidermy Tutorials by Smooth-On, Inc.
Taxidermists around the world know Smooth-On mold making rubbers, casting plastics, foams, etc. as versatile, consistent and economical. Smooth-On has technical support to put you back on track if you get into trouble or lose your way. These materials are very easy to use and offer almost limitless design possibility. This moldmaking video shows the process of molding an actual trout for taxidermy or propmaking purposes. Wildlife Art Creations chronicled their processes used to make exact duplicates of this dinosaur. In this how-to, Tony Breedlove uses a cavity pour technique that yields perfect antler castings every time. James Edgar knows that accurately reproducing antlers is one of the most common tasks in the business.